Recently, someone asked me about a credit card offer they received from Merrick Bank. I wasn’t familiar with Merrick Bank, so I agreed to look into it. 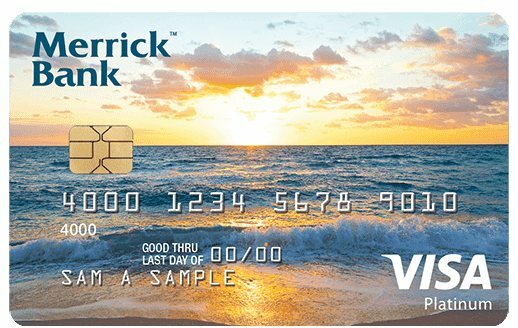 The Merrick Bank credit card is pretty interesting for the right type of person. The first thing is what is Merrick Bank and where is it located. If you’ve never heard of Merrick Bank, don’t worry, you probably aren’t alone. Most people don’t realize that “bank” can mean a lot of different things. In this case, bank means an issuers of loans and credit cards, not a bank that takes regular deposits and has branches. It is FDIC insured, and is one of the top issuers of Visa cards. It seems that Merrick Bank offers two main products according to the people I talked to. One is a Merrick Bank Secured credit card, and the other is a more traditional unsecured Merrick Card Classic Visa or MasterCard. Don’t forget to check out my review of the Acorns app. You can apply for a credit line between $200 and $3,000. As is typical for a secured credit card, the amount of your deposit determines your credit line. So, if you deposit $500 with them, you’ll get a $500 credit line. The company says it does report your activity to the three major credit bureaus, so it can be used to help repair your credit, or rebuild your credit after a bankruptcy. Obviously, if you have decent credit, this is not the card for you, but if you have poor credit, no credit, or don’t have the right kind of income to qualify for another card, this one can be a way to rebuild your credit. As always, I am opposed in almost all cases to credit cards with an annual fee, so this should be considered a credit card of last resort. To apply for a regular, unsecured credit card from Merrick Bank, you have to have received an offer from the company. Most people seem to receive an offer by mail. There is an offer number on that mailing, and you must enter it in order to apply for the card. This is typically a “sub-prime” card, meaning that it is offered to people with higher credit risk, such as people who have a bankruptcy on their credit report, or those with low credit scores. The interest rates and annual fees on the normal Merrick Bank credit cards range from 17.45% to 29.70%, again based on PRIME plus a certain markup. Annual fees range from zero to $72 per year. Some cards have a setup fee of up to $75, and I would strongly advise against that. Be sure to carefully review your terms. A $72 annual fee is crazy. Don’t do it. Also, note that they will charge your setup fee and annual fee to your card right away. In other words, that $500 credit limit will start with a balance of $147 on it already. If you can’t pay that $147 off immediately, do not sign up for the card. It isn’t worth paying 17% interest. The interesting thing about many Merrick Bank credit card offers received in the mail is that they offer an automatic increase in the credit line after a certain period of time. So, for example, the card starts as an $800 credit limit card, then after making seven payments on time, the limit automatically increases to $1,300. Again, this is a great way to help rebuild credit after a bankruptcy, or other financial difficulties. Remember that your total available credit is part of your credit score, as is your total credit utilization percentage. In other words, if you really can use and pay off this card every month, it can help raise your credit score. However, if you end up carrying a balance on this card, it probably isn’t going to help your credit score very much. Many of the Merrick Bank credit cards come with a free credit score offer. Unlike many credit card company free credit scores, this is a real FICO score, and according to the company, the actual, real credit score the company uses when evaluating your account. In other words, this is a similar FICO score to what other credit card companies might use. The free credit score is available by logging into your account online. The score is updated monthly. You don’t update it, or choose to update it. Rather, the company updates it on its schedule and informs you when there is a new score to look at. Merrick Bank cards are designed for people with low or bad credit scores, often resulting from a bankruptcy or foreclosure. As such, the terms and conditions are not great, and there are virtually no extra features like you would find on credit cards available to people with better credit scores. For example, there are no credit card rewards points or cash back offered. In addition, the annual fees can be pretty high. If you have the ability to get a better credit card, do it. This is not good credit card for people with options. However, if your credit is messed up and you are looking to rebuild or improve your credit score, this card is a good option, especially if you get an offer with no annual fee. If not, I wouldn’t recommend this card. Merrick Credit Cards = good for people rebuilding from bad credit. Stay away for everyone else. Filing bankruptcy hammers your credit score. In addition to all of your credit lines being marked as discharged in bankruptcy, the bankruptcy itself counts against your credit score. Fortunately, your credit begins rebuilding immediately. Unfortunately, you might not be getting all of the “credit” you deserve. For some people who file bankruptcy, the process ends with every line of credit they have being discharged. At this point, no payments of any kind are made to the creditors, and their financial life starts over. However, many people end up continuing to make payments on certain credit lines. For example, if you have a car loan, and you want to keep your car, you have to keep making payments or it will be repossessed by the lender. (A bankruptcy erases the loan, it does not erase the right to collect the collateral that you secured the loan with.) If the loan was discharged in bankruptcy, the lender will no longer attempt to collect the debt. You have to make payments on your own. In addition, the lender will no longer report any information about your payments (good or bad) to the credit bureaus, so you won’t get any improvement in your credit score. This is true for any loans that are discharged, but not reaffirmed, in bankruptcy. To build your credit up again, you need to establish a history of good payments with new credit lines that were not discharged. Since you just filed bankruptcy, your credit is bad. If your credit is bad, getting a loan is going to be difficult. It’s just one of those financial Catch-22s that you have to deal with. Fortunately, there are some options. First, if you have a loan, like a car loan, that you are due to pay off soon, and you are 100 percent sure that you can make the payments between now and when the loan is paid off, you may want to exclude that loan from your bankruptcy filing. If you plan to keep the car, you have to make the payments anyway, because car loans are secured loans. Even though you filed bankruptcy, they can still repossess the car. So, if you are going to keep the car, and keep making the payments, it may actually be better for you to not have that loan discharged so that you continue to get credit for the on-time payments on your credit reports. Sometimes, not listing the creditor on your filing is enough. If not, you can reaffirm the loan, which means that you recommit to paying the loan, and agree to all the consequences of failing to do so, even though you filed bankruptcy. A reaffirmed loan is NOT discharged and can be collected, and reported to the credit bureaus. This is why it is important to only do this with loans that you know will be paid off without difficulty. If you’re situation is difficult, don’t worry about your credit score just yet. Get everything in order and then use one of the other techniques to rebuild your credit. Another surprisingly easy way to get a new line of credit is to buy a new car. You’ll notice that after filing bankruptcy, you will get several letters from local car dealerships offering to lend you money to buy a car. Since you can’t file bankruptcy again for seven years, and the loan will be secured by the car, this is a good risk for a car salesman. However, beware that you will not be getting great terms. The interest rate will be high and the loan amount will be limited. If you do have to have a new car though, this strategy can be useful if you are smart about it. Be sure to buy the cheapest car you can possibly get that works for your situation. Remember, too many payments got you into this mess in the first place. Another useful tool for rebuilding your credit after a bankruptcy is a secured credit card. One option is the Merrick Bank Secured Visa. With a secured credit card, you deposit some money with a financial institution. This money is typically in a separate account and cannot be withdrawn while you still have the card. The money in the account acts as collateral for the new card. In all other ways, the credit card is like any another. You can charge things on it, they charge interest if you don’t pay the balance off, and they report your payments, good and bad, to the credit bureaus. With a new credit line, your bankruptcy starts moving into the past on your report and your good payment history follows you into the future. In just a few years, your credit score can be back over 700, although that bankruptcy listed on your report will still lock you out of the best deals, at least for a while. However, with proper management, your personal finances can be back in shape as quickly as possible. The simple answer is: Yes, you can keep your home if you file bankruptcy, but only if you do the right things. I suspect it is that, but only if, part that is causing the answer to not seem simple, so let’s break it down. First, it is important to understand that a home mortgage is a secured loan. The security, or collateral, for the loan is the home. If the debt is not repaid, then the lender may take the collateral and sell it in order to pay off the loan. Now, just like any other debt, a mortgage can be discharged in bankruptcy. Doing so means that the lender may no longer attempt to collect the debt. However, the lien, or the right to take possession of the loan’s collateral is NOT discharged, or affected in any other way, by a bankruptcy filing. This is where things start to seem complicated. Just because you don’t have to pay the loan anymore, does not mean that you get to keep the house. However, it does mean that if lender does foreclose on the home, and the amount raised from the foreclosure sale is not sufficient to pay off the entire mortgage balance, then the lender cannot attempt to collect the rest of the money from you. Perhaps the easiest way to construct a “simple” answer about what happens to your house if you file bankruptcy is to walk through the possibilities. Scenario 1: Keep Making Payments: If you want to keep your home after filing bankruptcy, the easiest way to do so is to just keep making the payments. Foreclosure can be a complex, expensive, and time consuming process. Besides, your lender makes a profit by collecting the interest from each mortgage payment. So, the lender would prefer that you just pay the mortgage as agreed. However, there will be some differences in how payments are made and collected if your mortgage is discharged. There is a process called reaffirmation, which is where you reaffirm, or re-agree, to pay a debt. This makes the debt fully collectable and enforceable again. This typically is not advantageous to the debtor, so avoid this except in unusual circumstances. Scenario 2: Stop Making Payments: If you do not pay your mortgage payments after bankruptcy, they lender may not attempt to collect the debt from you because it was discharged. This means that they will not call you about late payments, or send demand letters, or pursue any legal action such as garnishing your wages. Most communication will be by mail, and it will all be marked, “For information purposes only,” to ensure that it is not seen as an attempt at collection. However, the lender does still have a legal and enforceable right to take the collateral pledged to the loan, in this case, your home. Unlike repossessing a car, where the lender just hooks it up to a tow truck, taking a home requires a special legal process known as foreclosure. The foreclosure process is completely separate from the bankruptcy process. This is the result of some of the complexity of the question. While bankruptcy erases the debt and bars the lender from attempting to collect the debt, foreclosure still allows the lender to take your home. Foreclosure it not affected by your bankruptcy. Scenario 3: Work with the Lender: Some additional complexity stems from the ability of lenders and borrowers to come to a new arrangement. Again, this is not actually a part of bankruptcy. What two legally consenting entities decide to do after a bankruptcy is not the court’s business. Thanks to recent government programs to help homeowners, there is more incentive for lenders to modify a mortgage or adjust the repayment terms to help you keep your home. Of course, the better shape your finances are in, and the better shape your mortgage is in, the more likely your lender will be willing to work with you. Hopefully, this provides some clarity as to what happens to your house when you file bankruptcy. The key detail is that foreclosure is not modified by a bankruptcy filing, even though pretty much everything else is. If you want to keep your home, then make the payments or work with your lender. If not, drag the process out as much as you like. Stop making your payments and save the money so that you can move to a new home once the foreclosure actually happens.